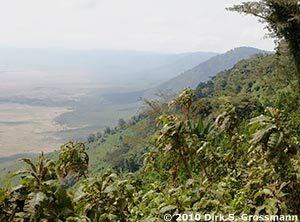 From Arusha, we went to the Ngorogoro crater on the highway: through the plains, up the rift valley wall, and then to the crater. 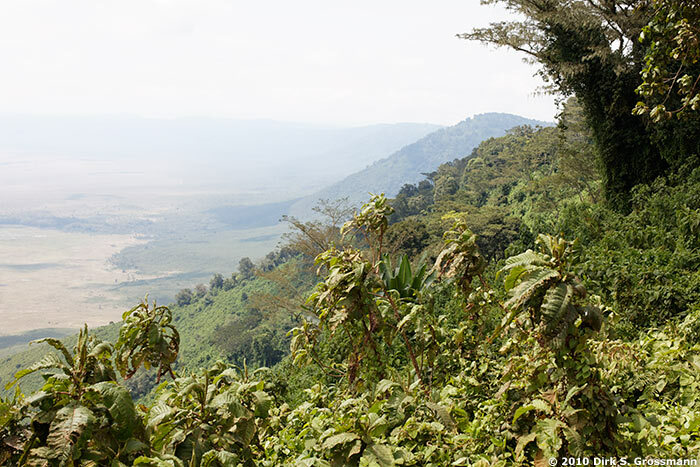 We spent the night on a camp site directly on top of the rim of Ngorongoro crater. Actually, it is a caldera that formed when the roof of an empty magma chamber collapsed. Watching the wildlife on the ground of the Ngorongoro caldera.